Tutor Profile - Nik B.
Bio: I graduated from CU Denver with a B.S. in chemistry with an emphasis in biochemistry. I have 3 years of tutoring experience and have previously taught Algebra I, Statistics, and Organic Chemistry Lab. I also have extensive immunology research experience. Seeing a student's face light up and watching them independently solve a problem are one of the many reasons that I enjoy tutoring. 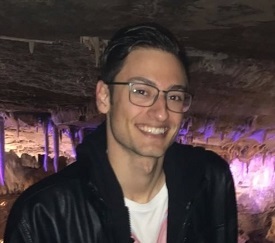 Experience at High Performance Tutoring: Nik has worked at High Performance Tutoring for 7 months and has helped 1 of our students learn effectively, build academic confidence, improve grades, and raise test scores. Nik is highly knowledgeable, great at teaching, has a wonderful personality, and has proven over time to be very reliable.